Wroxton College is a campus of Fairleigh Dickinson University. The Wroxton program is part of FDU’s study-abroad program. have a cumulative grade point ratio of 3.00 or better in 4.00 system (or equivalent), as indicated on an official college transcript. be second-semester sophomores, juniors, seniors, or graduates. 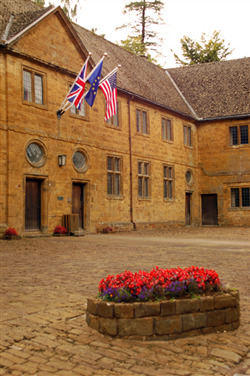 come to Wroxton College from regionally accredited institutions in the United States. Applications must be approved by the sending college or university before admission to the Wroxton program can be granted. This approval is indicated by the signature of the dean of students or a designated official of the college or university. send three letters of recommendation from current or former professors. Graduate students must submit application with official college transcripts and, if matriculating, GRE test scores. Note: Fairleigh Dickinson University and Wroxton College will notify the United Kingdom’s immigration authorities of any student who is accepted and registered for attendance at Wroxton College but fails to arrive or, having arrived, subsequently fails to attend.